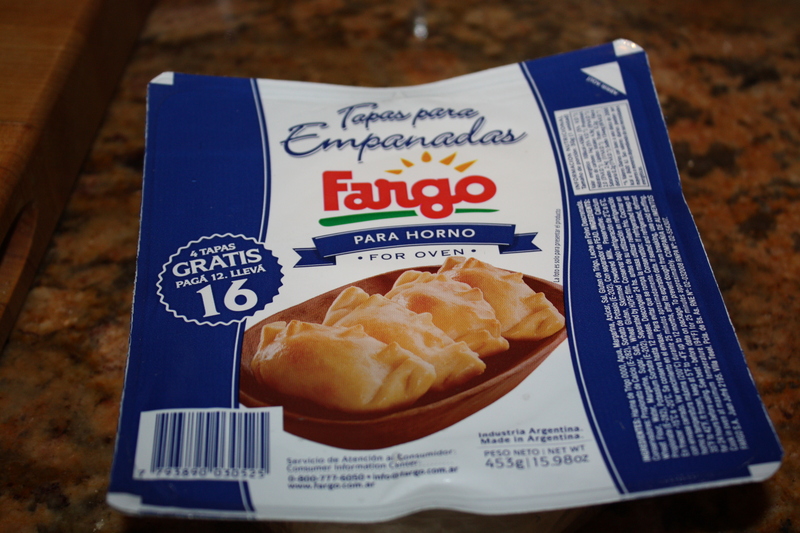 Argentinian Empanadas are filled dumplings or turnovers made of wheat flour and lard that can be fried or baked. I have found a brand of dough that has both options called Fargo. Fillings vary from region to region and they may include sauteed and cubed churrasco, cheese, ground beef, chorizo, fish or spinach among others. They are very similar to Puertorican “empanadillas” or “pastelillos” which are always fried. Here I am including two versions: 1. cheese with sweet onion and 2. beef. 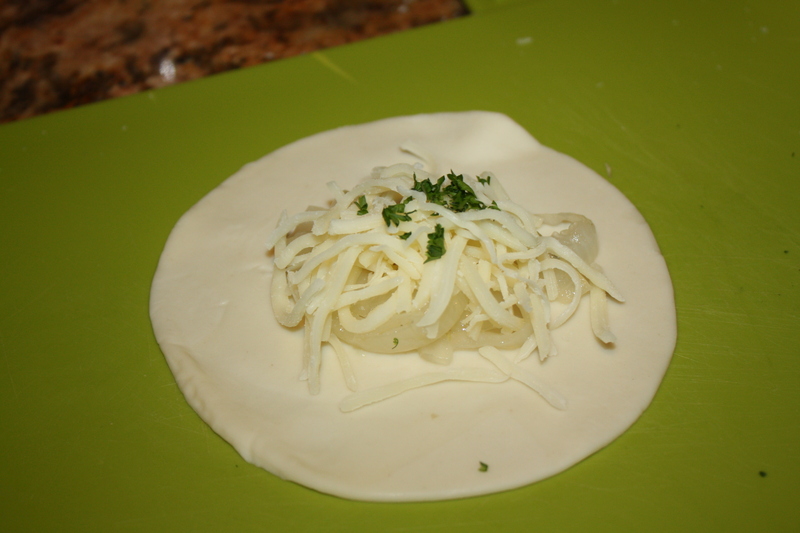 The cheese with sweet onions takes a little time to make the filling but its worth it because they turn out so good. Be generous with the cheese. I have read that in order for the empanadas not to open while they are being baked, besides closing them properly, is to cook them cold, as from the refrigerator. The beef empanadas are made of picadillo with raisins and you will probably have left overs when you fill the 16 dough disks that come in the package. The left overs can be used for more empanadas or serve as a side dish to white or brown rice. I personally don’t like to add the hard boiled eggs, but I know a lot of people that love it, so thats why I include it as optional. Empanadas are great appetizers or snacks. Here is my version of Empanada Argentina. 2. 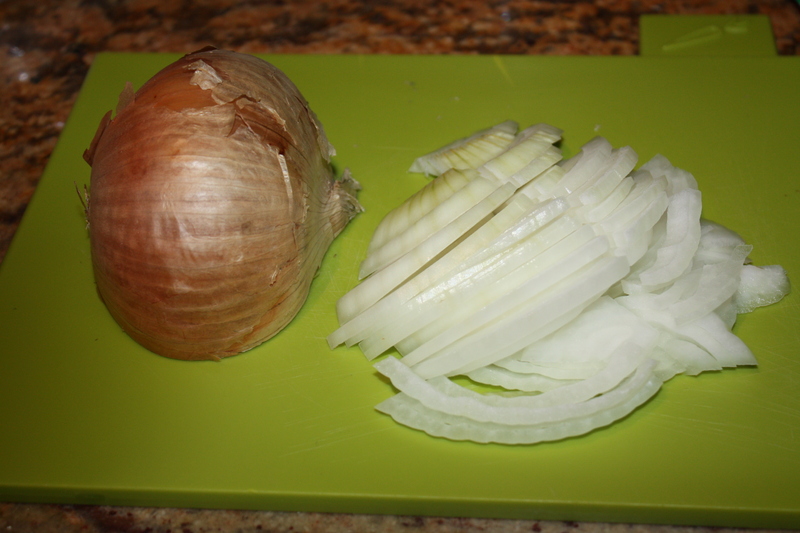 Cut onion in half and thinly slice it. Cut slices in half. 3. 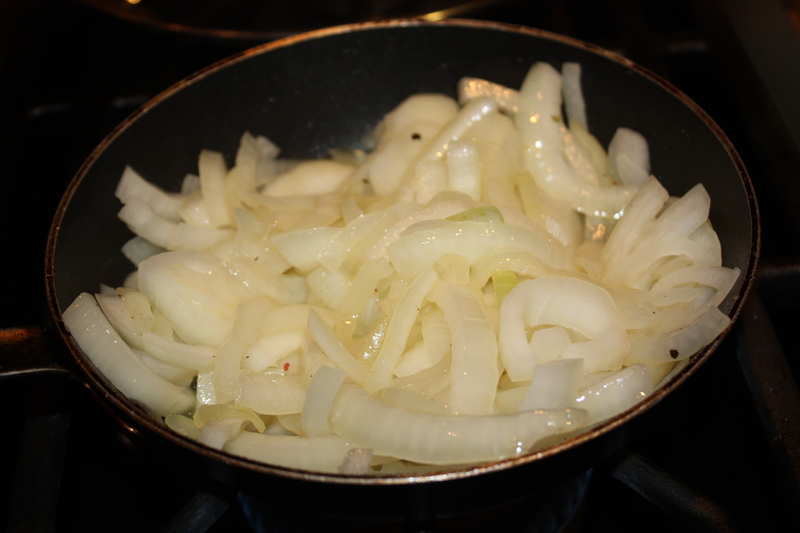 In a small frying pan, heat extra-virgin olive oil (medium) and sauté onions with salt and pepper to taste. Once they start to become translucent, add Marsala wine and sugar and continue to saute until liquid is reduced and almost gone. Set aside and let cool. 4. Place about 1 tbsp of onion, a little over 1 tbsp of shredded mozzarella cheese and sprinkle of parsley in middle of empanada dough disc. 5. 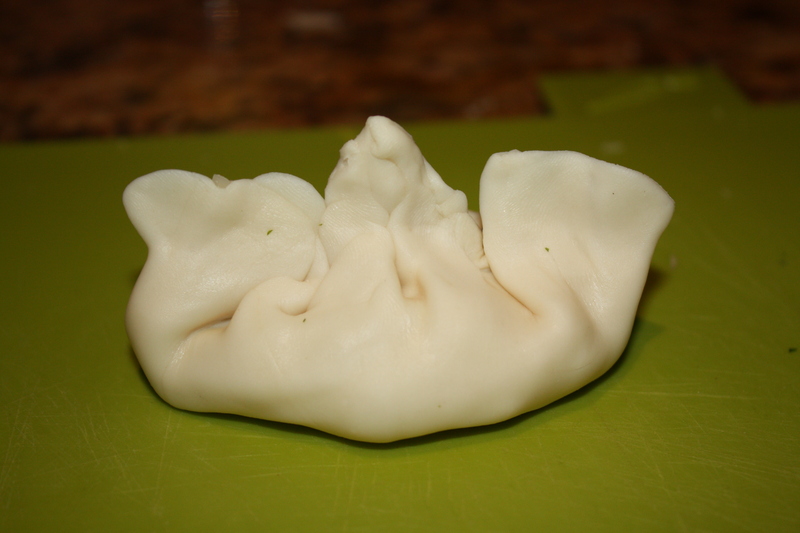 Close empanada to form a half moon bringing sides up and pressing with your fingers to crumple from the outside in, like a hobo bag or to form “pleats”. 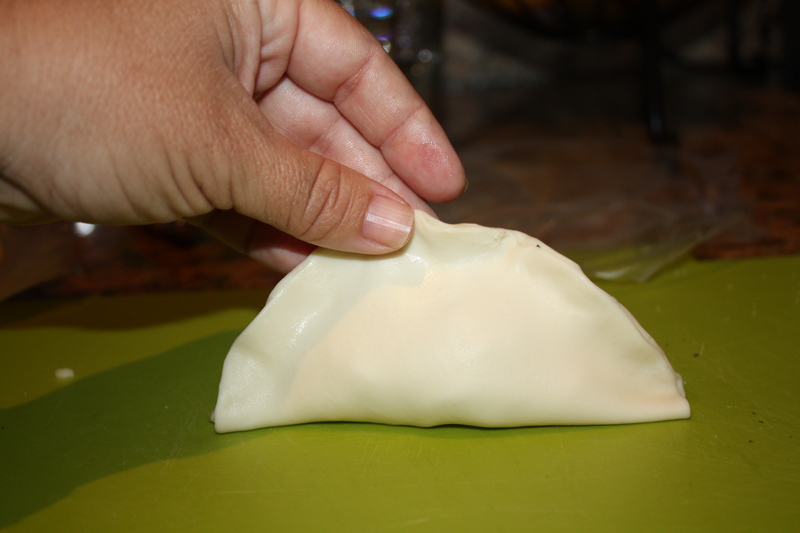 Another way to close empanada is to lay half moon flat and by pressing with a fork. 6. Place empanadas in a jelly roll pan that has been greased with a little of olive oil. I have an olive oil sprayer. Place in the refrigerator for about 15 minutes. 7. 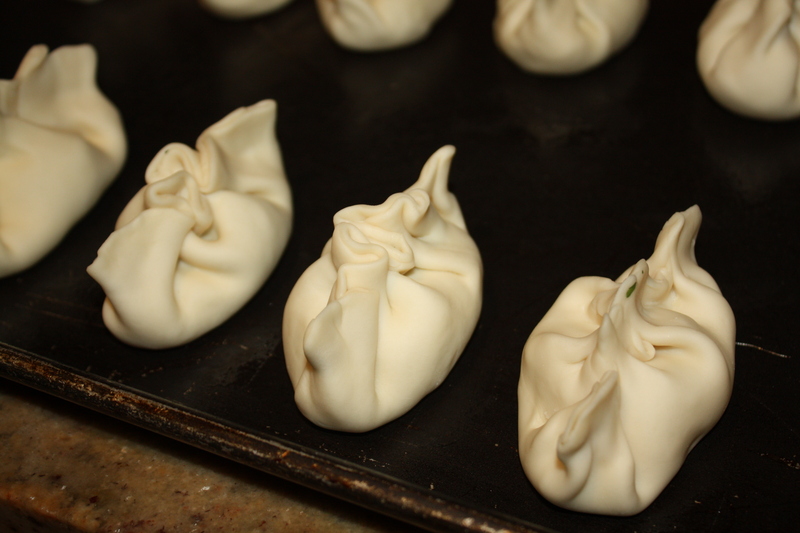 Just before placing in the oven, apply the egg wash and bake for 15 minutes or until golden brown. 1. Make picadillo with raisins. When done, mix in finely chopped hard boiled eggs. 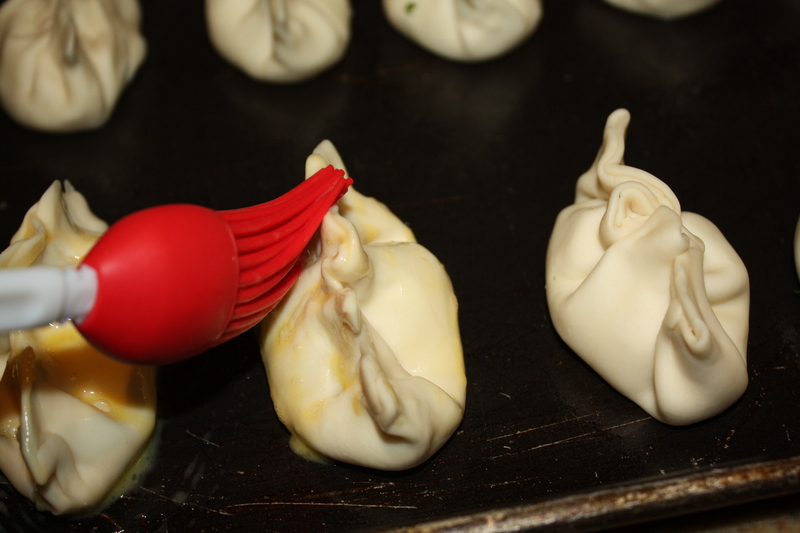 Let cool picadillo mixture and start to fill empanadas. 2. 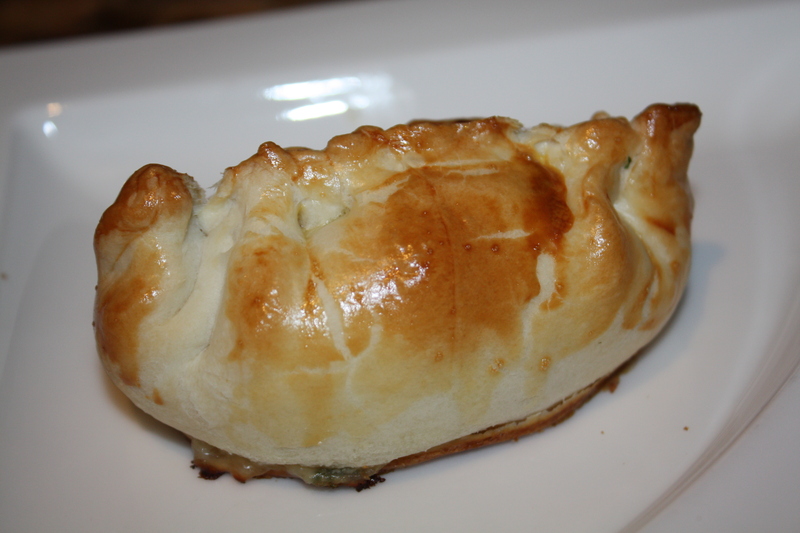 Follow steps 5, 6 and 7 from Cheese and sweet onion empanada recipe.